Anthony Bourdain made it into the pages of AdWeek’s food issue, and, of course, they were curious about his recent move to CNN. While he’s already spoken at length about how working for a news outlet afforded him the opportunity to travel to more dangerous places which he may not have access to at The Travel Channel, Tony admits that one key component of the meal helped foster peace as he broke bread with some of America’s enemies. “The willingness to drink indigenous beverages is one of the reasons that we’ve been able to get access,” he said of traveling to a few of the touchier places on his travel wish list. 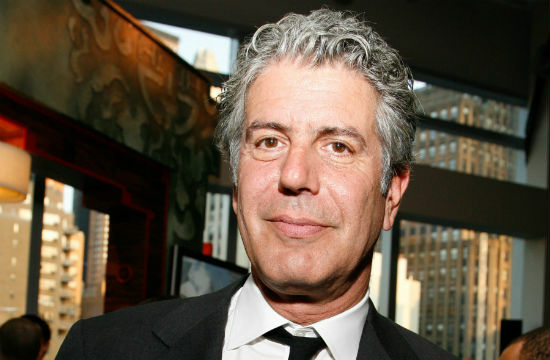 But he also visits plenty of touristy destinations, and, Bourdain confesses, the challenge there is to do something different. Remember that Brooklyn episode he was spotted shooting with cast members of The Wire? But he won’t die ignorant. Because he gets to go to Saudi Arabia.